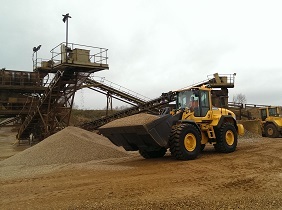 We produce primary aggregates (Sharp and Building Sand, Gravel, Carrstone) at three of our quarries across Norfolk and we recycle materials at four of our sites across East Anglia. Below is a detailed list of the products we offer and these are available for both delivery and collection. 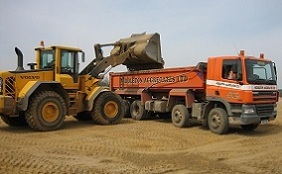 We will price and deliver aggregates to all over Norfolk, Suffolk and Cambridgeshire, from Cromer to Cambridge, Peterborough to Great Yarmouth, Kings Lynn to Bury St Edmunds, Norwich to Ipswich. 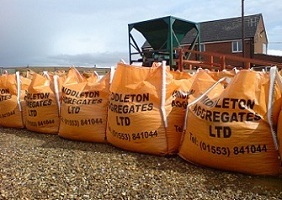 Bulk bagged aggregates are available for delivery within a twenty five mile radius of Kings Lynn. To see more information on each product just click on the name of the product you're interested in. Please contact us for any further information required. 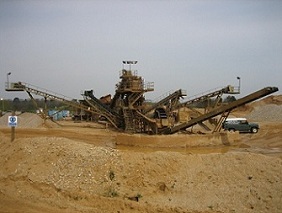 To see images of the different types of natural and crushed gravels we can supply, click here. This calculator will help you to work out how much of our product you need for your project. The calculator assumes the area that you are going use is rectangular. If you need to work out an area of a different shape, try breaking the area down into several rectangles, work out the total for each rectangle out then add up the results. Please note that the calculator is a guide only. It is not a guarantee of exact amounts. Click on the button for the result. 0/2mm Building Sand Our washed building sand is a light coloured sand, that is suitable for laying bricks. 0/4mm Bilney Sharp Sand A coarse concreting sand commonly used for block paving and floor screeds. 0/4mm Pentney Sharp Sand A sharp sand ideal for use in plastering, rendering and for laying paving slabs. Single Size Gravel Crushed Crushed gravel is excellent for pipe bedding and drainage purposes. It is available in three grades; 4/10mm, 10/20mm and 20/40mm. Single Size Gravel Natural More rounded than its crushed counterpart, natural gravel is ideal for driveways and decorative purposes. Available in three grades; 4/10mm, 6/14mm and 10/20mm. Reject Stone Larger flint generally between 50mm and 150mm ideal for soak aways, landscaping and decorative purposes. 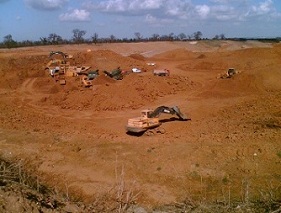 Premix or Ballast Mixed ready for use in making concrete. We can provide premix/ballast in both 0/10mm and 0/20mm grades. Carrstone Fines Fines are often used as a blinding-fill. Carrstone Downs Used mainly as a capping layer, for oversights or for driveways it packs down very well. Available in 5", 3" and 2" grades, this product includes lumps of carrstone from the chosen size all the way down to fines. Carrstone Straights This is great for deep fill or as a piling mattress. Available in 5", 3" and 2" grades, carrstone straights is a 'clean' material meaning the fines have been removed. Hoggin Used mainly as a capping layer, for oversights or for driveways. Available in 3" and 2" grades, this product includes stone of the chosen size all the way down to fines. Sandfill & Hogginfill Sandfill is available 'As Dug' or 'Stone free' the latter being more suitable for cable ducts (PLEASE NOTE: OUR SANDFILL IS *NOT* SUITABLE FOR A HORSE ARENA). Our Hogginfill is ideal for use as a trench-fill material or for making up ground. Type 1 Granite A primary aggregate processed to highway spec type 1 sub base. Type 1 Crushed Concrete A recycled concrete screened to highway spec type 1 sub base. Type 1 IBAA A recycled incinerator bottom ash processed to highway spec type 1 sub base. Crushed Brick Rubble 6F2 quality brick rubble regularly used as a capping layer or for a piling mattress. Crushed Tarmac A tarmac and concrete mixture crushed to 60mm down, ideal for farm track reinstatement. Tarmac Planings Recycled planings either screened or unscreened, suitable for driveways or farms track reinstatement. Screened Topsoil Suitable for gardens and landscaping. Our topsoil is screened to remove any large stones etc. 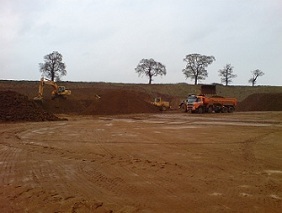 Clay Our clay is suitable for lining landfill sites, ponds and for compaction. Decorative Aggregates We hold stocks of various decorative aggregates, please call us for more details. Other If you can't see the product you require in our list please contact us, we may still be able to supply it for you.